﻿ Oak Point State Park - Ohio. Find It Here. This 1.5-acre park, the smallest in Ohio's state park system, is a companion to South Bass Island State Park. 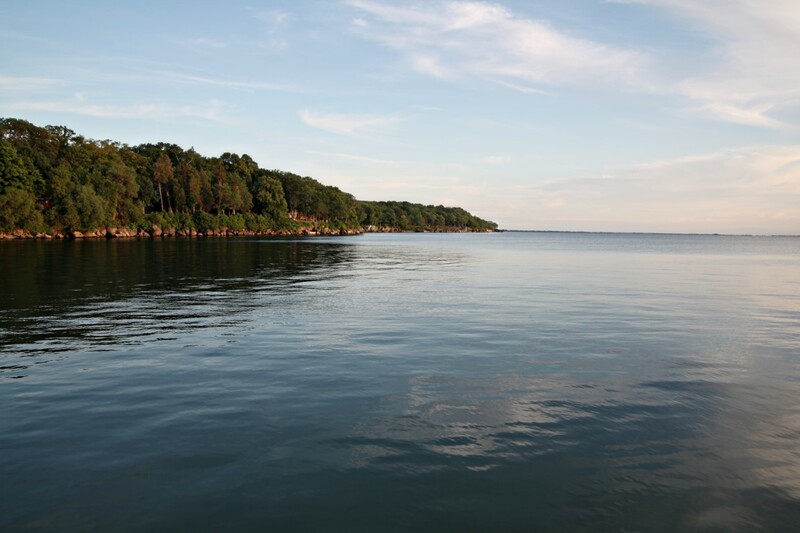 It offers facilities for boaters and picnickers and scenic panoramic views close to the heart of Put-in-Bay. Get there early to watch the sunrise!South Bass Island, in the western basin of Lake Erie, was formed during the glacial period when massive ice sheets from Canada advanced into Ohio. Glaciers gouged and scoured the bedrock, and their tremendous weight left deep depressions which filled with meltwater as the climate warmed and the glaciers retreated, forming the Great Lakes. Evidence of the glaciers can still be seen in the islands bedrock, as small scratches in the rock surface known as glacial striations, and in deeper glacial grooves. A small set of glacial grooves is visible in exposed bedrock near the group camp at South Bass Island, while a large tract of impressive grooves is preserved on Kelleys Island.